Please join us for the fundraiser for the MCF-Academy on July 25 in Southampton, designed by Archi-Tectonics. The MCF-Academy is scheduled to open Fall of 2010 and will house and educate 200 orphans and abandoned children. Exciting news on the Vestry Street Building!! Below is a new glimpse into the progress of our Vestry Street Building. We are excited to announce that it will be coming out of the ground very soon, so be sure to check back in here for updates on the progress of the building as well as more photos. On May 18th we announced that Archi-Tectonics Chestnut Tower was featured in the Panelite exhibit at the ICFF in New York City. Now, you can click the thumbnails below for more photos of that exhibit. “The Frank Lloyd Wright: From Within Outward” exhibit celebrates the 50th anniversary of the Guggenheim Museum and we are excited to announce that Winka will be involved in the exhibition. 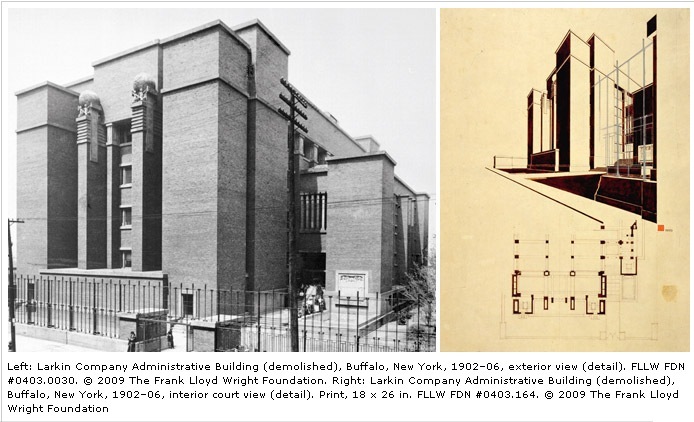 On June 22, Winka will be leading a private, guided tour of the “Frank Lloyd Wright: From Within Outward” exhibit which is currently on view through August 23, 2009. Tickets for the tour are available at the Guggenheim website at $25 and $20 for members and students. You are currently browsing the Archi-Tectonics Today weblog archives for June, 2009.